To be truly grateful for something is a very different experience then feeling like you should be grateful. We all have the capacity to appreciate and when we do it’s deeply healing. 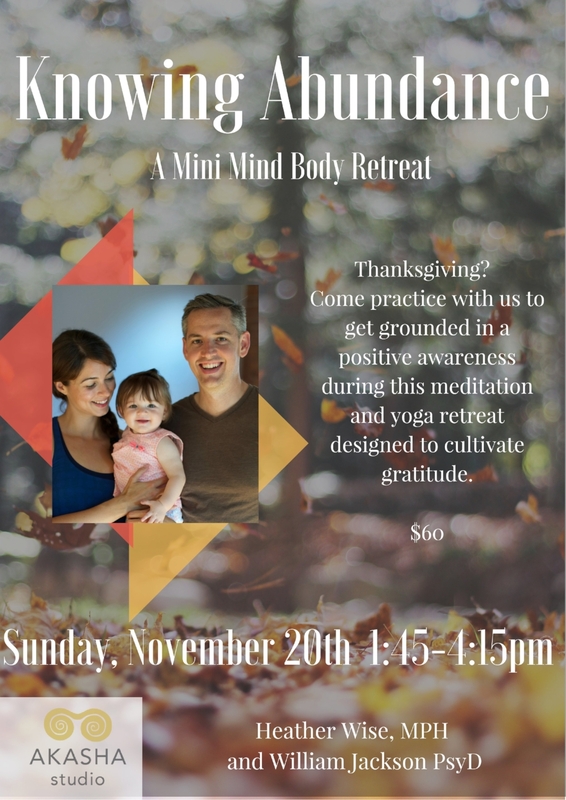 Come practice with us to get grounded in your body and mind. Together we will tune into the abundance in our lives with a few simple practices you can take with you to use in your daily life.